On Saturday 16 June, the 12th edition of the nomadic art biennial Manifesta opened in the politically charged air of Palermo, Italy’s capital of culture for 2018. The interdisciplinary exhibition features talks, concerts, performances, films and workshops, and is titled The Planetary Garden: Cultivating Coexistence (until 4 November). The city’s Orto Botanico, founded in 1789, acts as both the inspiration for and the heart of the exhibition. Manifesta 12 uses the botanical garden setting to evoke early modern globalisation. Redolent of the values of the Enlightenment and scientific progress, the garden’s imagery is weaponised, with audiences forced to examine uncomfortable themes such as climate change, toxicity and migration. The latter topic is inescapable in the week that Italy’s interior minister, Matteo Salvini, risked a new European political crisis by blocking two rescue boats from bringing refugees to shore in Italy, a week after preventing another ship, the Aquarius, from docking. Manifesta mines the deep fissures between the current anti-immigrant political climate and the history of Sicily, a region noted for the remarkable sociocultural syncretism between Western, Islamic and Byzantine cultures. Speaking at the press opening of the biennial in the Baroque splendour of Santa Caterina church, Palermo’s mayor, Leoluca Orlando, a champion of immigrants’ rights in Italy, declared Palermo an “open city”. It is an invitation that thousands of migrants have accepted over recent years. While the Aquarius, with more than 100 refugees on board, finally docked in Valencia, Spain, after a week at sea, another ceremony took place at Patricia Kaersenhout’s installation at the Palazzo Forcella De Seta. Drawing on her Surinamese heritage, Kaersenhout plays on the Caribbean legend of the flying Africans—slaves who were said to avoid eating salt so that they could become light enough to fly back to Africa—with her Soul of Salt installation. In front of the Dutch artist’s mountain of salt and framed by the palace’s glittering Arab-Norman inspired mosaics, a group of refugees perform a slave song, linking those taken across the ocean in the past with the current refugee crisis—and with Sicily’s own impossibly layered history. Meanwhile, at the Orto Botanico, the Palestinian artist Khalil Rabah references the markets of Palermo with his own collection of artefacts, called Relocation Among Other Things. He offers the jumbled contents of an imagined street stall—watches, chipped cups, plastic trays, religious icons, fake designer goods, photograph albums, defunct multimedia, electronic scrap, all disgorged beneath the battered mahogany cabinets of a botanical specimen display room. 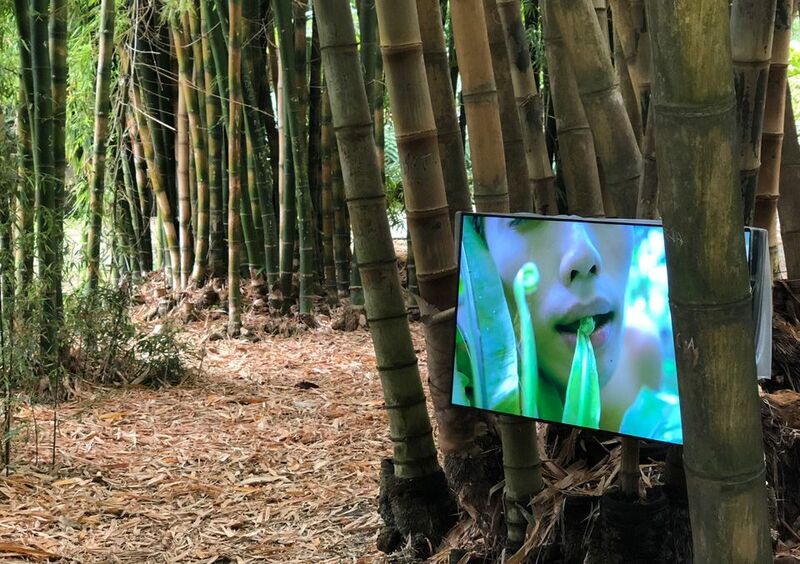 Also in the garden, buried in a deep thicket of giant bamboo, the Chinese artist Zheng Bo’s alarming video Pteridophilia examines how we look at marginalised communities with a graphic exploration of the eco-queer movement. There is a preponderance of video art at Manifesta, perhaps the inevitable consequence of curators having to assemble such a large exhibition remotely. Nevertheless, large crowds gathered to see Protocol no. 90/6, in the Sala delle Capriate of the State Archives of Palermo. The installation by Masbedo (the artists Nicolo Massazza and Iacopo Bedogni) combines video with masses of crumbling stacked documentary material to examine memory and decay. A rich selection of collateral events accompanies the biennial. One of the most striking is by the Taiwanese artist Yahon Chang. 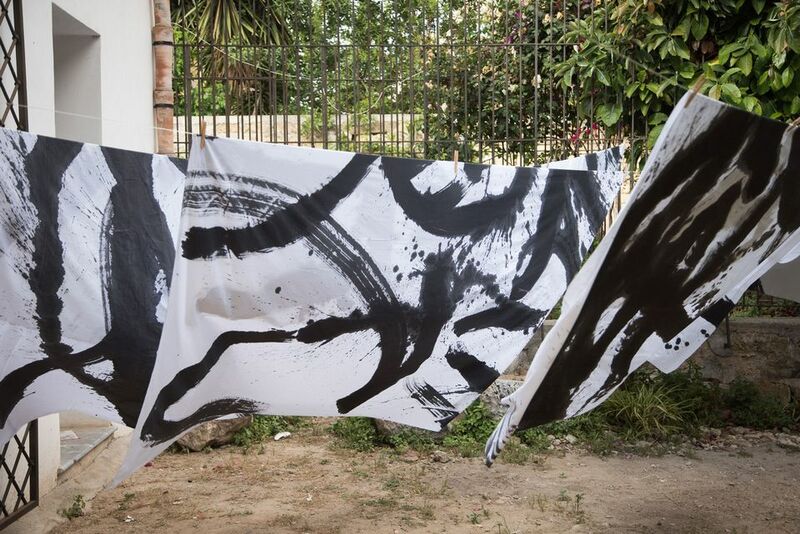 Working with the curator of Manifesta 12, Maria Rus Bojan, he converts the monumental space of the Sala delle Armi in the Palazzo Chiaramonte-Steri through the use of Chinese ink painting techniques, layering texts, fabrics and traditions, and finding in Taiwan’s own variegated history echoes of Sicily’s. The garden is an apt device for the biennial. While Palermo is enjoying a recent renaissance that has seen it overcome a reputation for neglect, corruption and crime, it still has the feel of a capital city gone to seed. The overgrown courtyards, crumbling palaces, spectacular churches and dark alleys lend a supremely atmospheric backdrop to the festival. The Palermo edition of Manifesta feels very different from its Zurich outing two years–and is all the better for it.